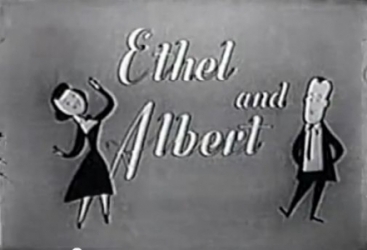 Ethel and Albert was originally a radio soap opera in the late 1940s. Then this came out after that. 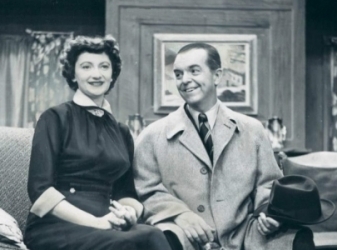 Right after Christmas 1957, Peg Lynch produced another radio soap, The Couple Next Door, which also starred Peg Lynch and Alan Bunce (who died in 1965). It lasted until 1960. There is a good chance that this was a revival of the earlier radio series. We don't know because the couple's names are never heard: They call each other "Dear" and that's all we hear. She created other shows in the 1970s including Little Things in Life and some episodes of NPR's Earplay. Peg Lynch passed away in 2015.